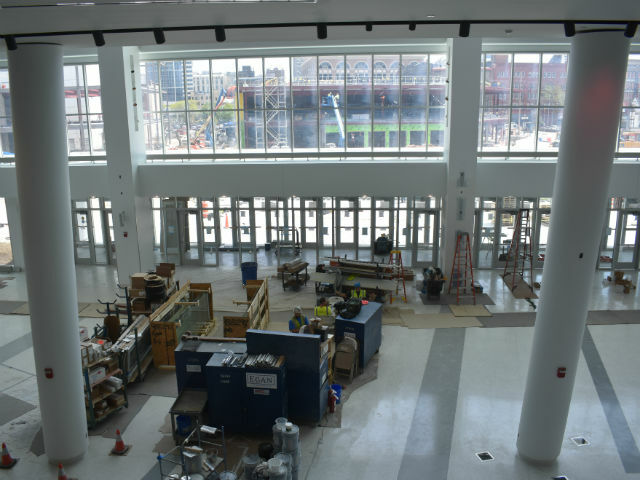 The atrium of the Bucks&apos; new arena faces east, connects with the entertainment plaza and will be the main entrance. 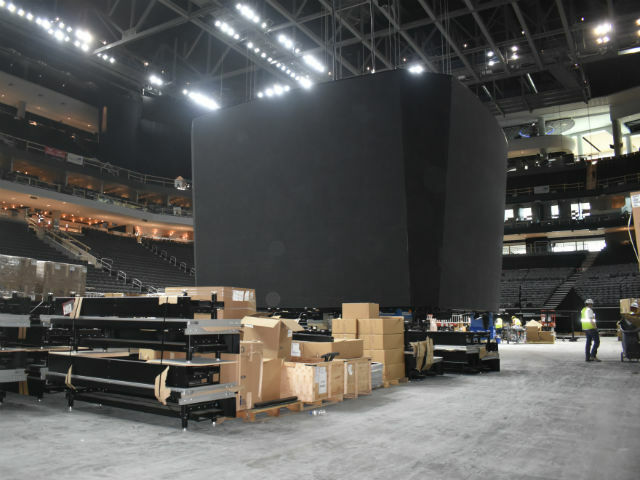 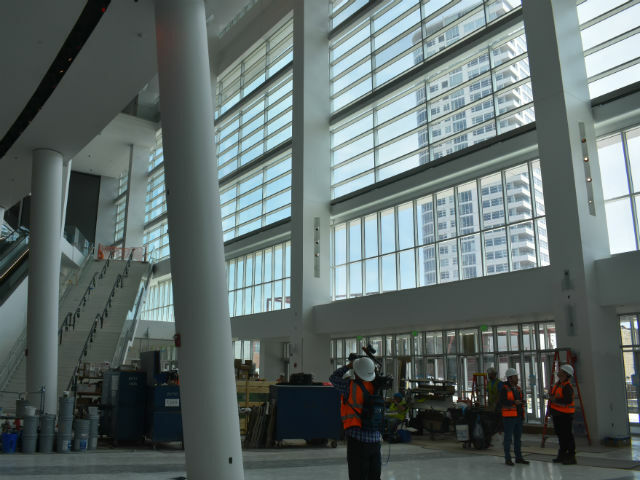 Marvel at airy new arena atrium, Bucks' glassy and gleaming "grand entrance"
Published May 18, 2018 at 3:01 p.m. 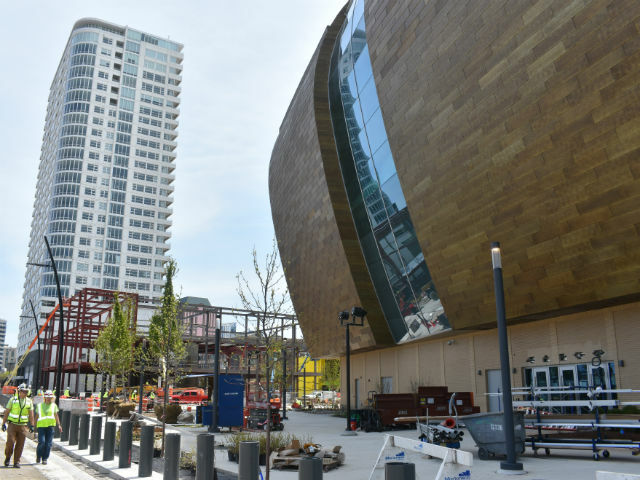 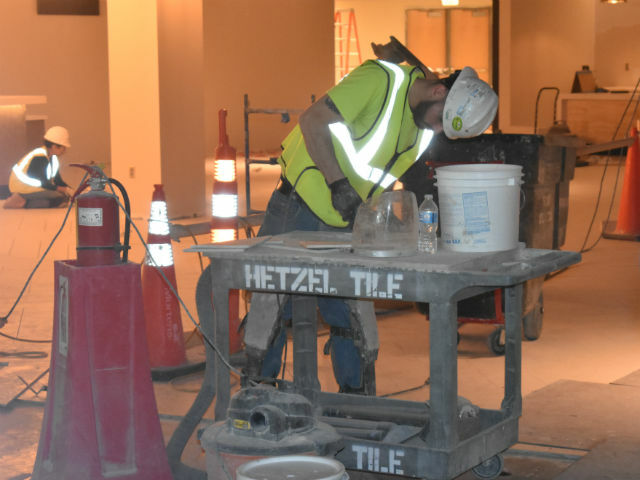 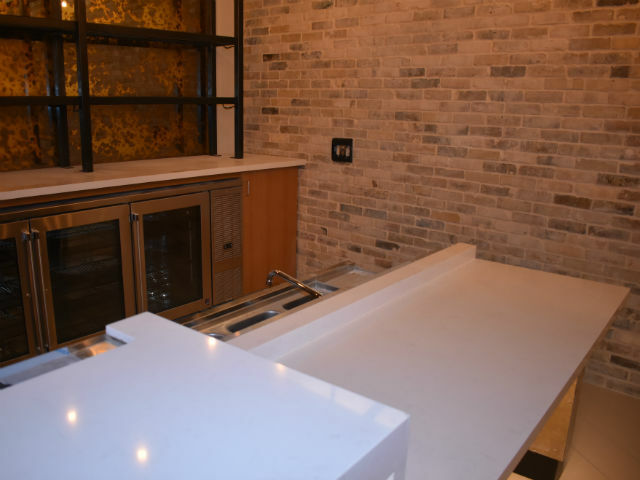 The new Milwaukee Bucks arena is 95 percent complete, according to team president Peter Feigin, with mostly just minor details, furnishings and final touches remaining. 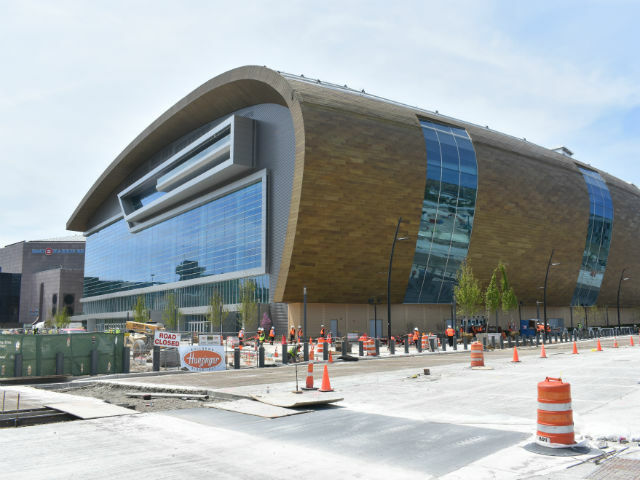 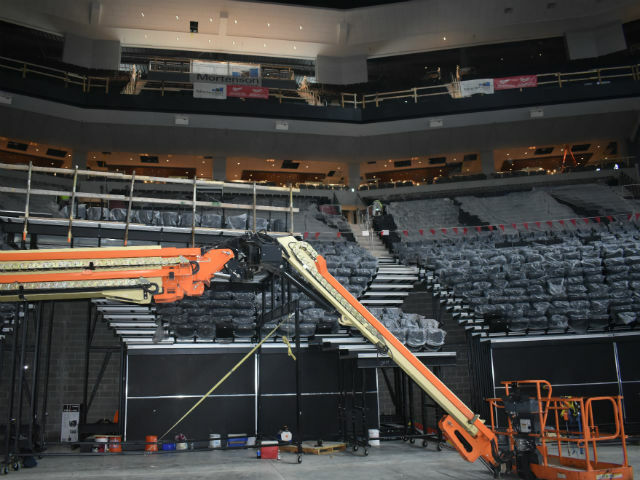 And, while there were still hundreds of construction workers laboring during a media tour on Friday, with cranes, equipment, tools and boxes all over, at least one part of the Wisconsin Entertainment and Sports Center looked fully, fabulously finished. 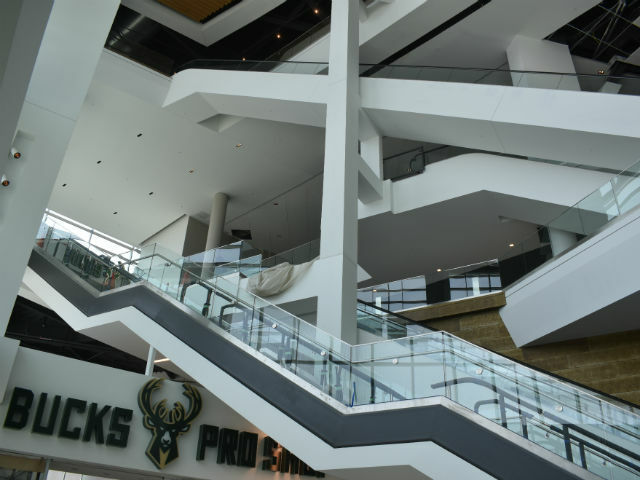 The arena atrium, "the grand entrance," as Feigin called it, is a glassy, gleaming, multi-level, open-concept vestibule – soaring, bright white and welcoming visitors to the Bucks' world-class home. 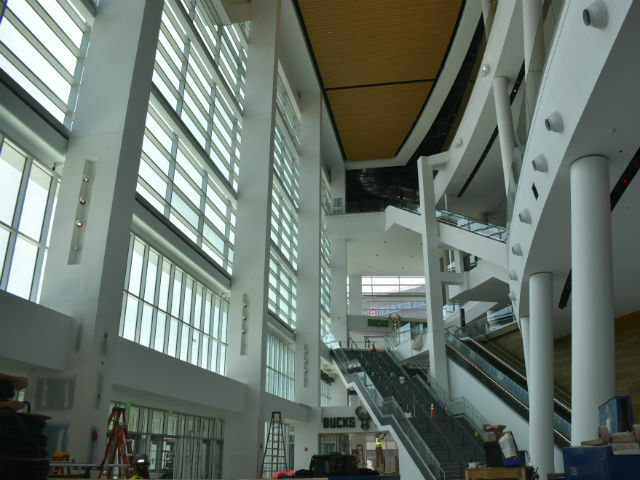 The airy atrium, which faces east toward Downtown, will be the main entry for fans, connecting with the Live Block and entertainment plaza. 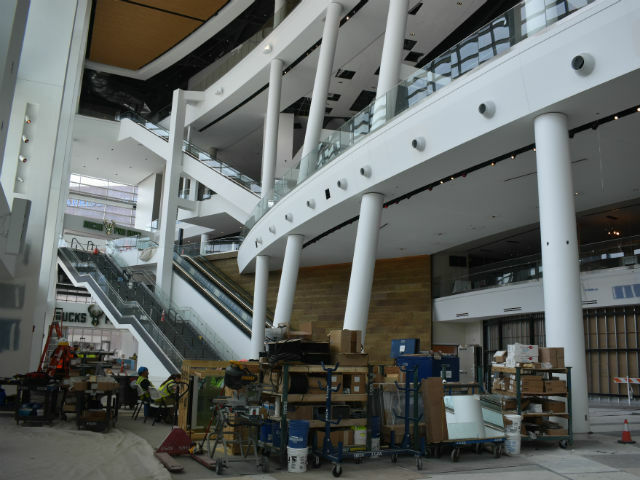 With hundreds of clear glass windows brilliantly lighting the sweeping foyer, tall columns supporting the upper levels and softly jagged-angled staircases and protruding, irregular features, it's a shimmering, revealing, futuristic-feeling and inevitably interactive space. 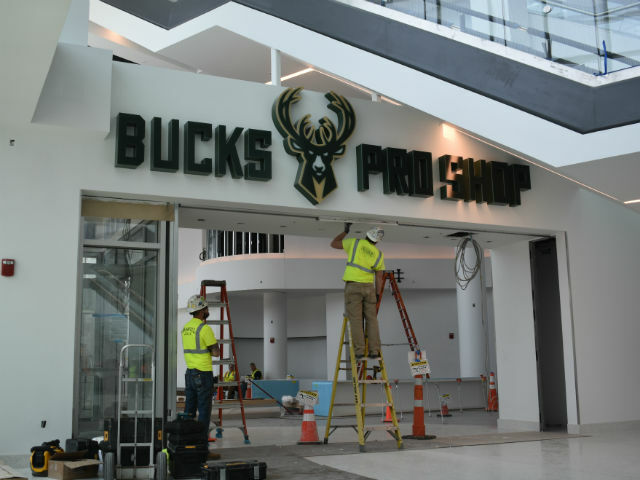 On the tour, Feigin said the Bucks had secured arena naming rights, though he declined to reveal a sponsor. 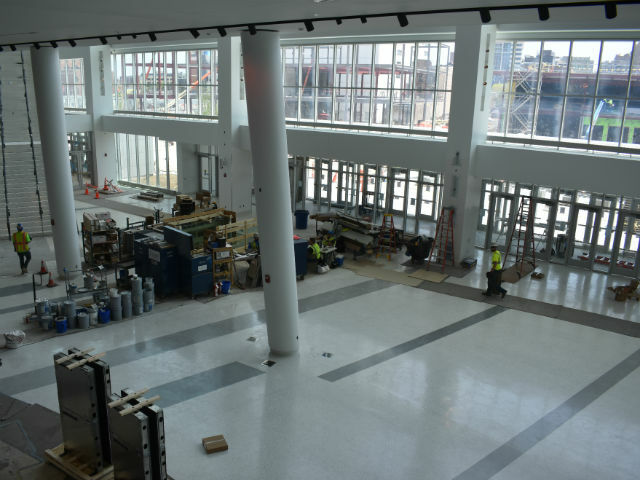 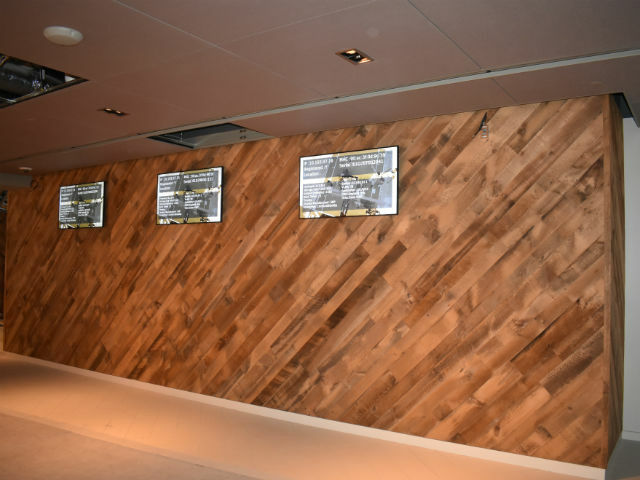 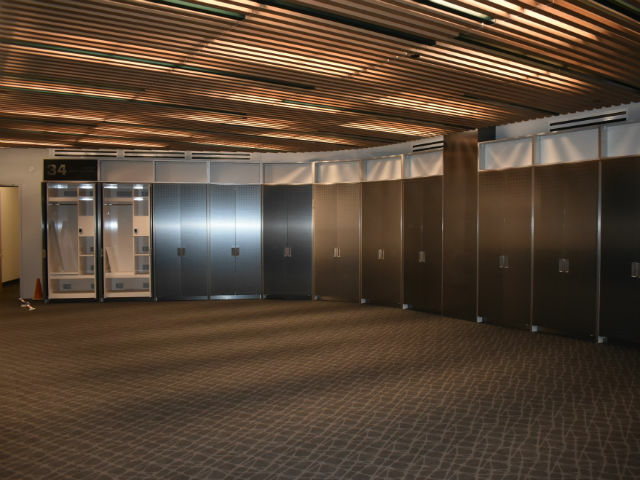 While showing off not only Milwaukee's large, "gold-standard" home locker room, but also the first-class visiting team's quarters, he remarked, "We want every player in the NBA to think this is a great place to play." 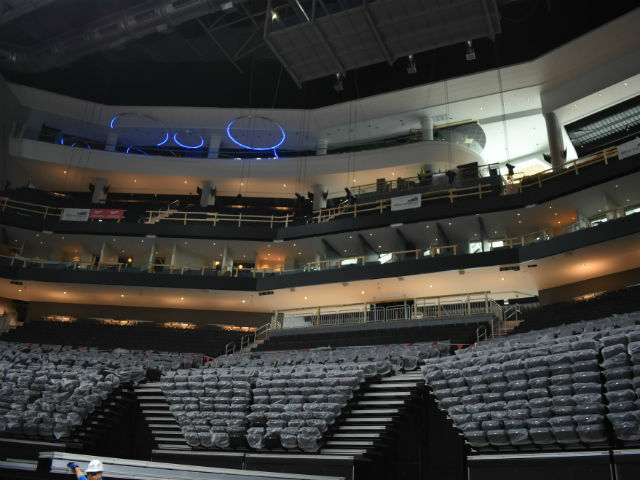 Feigin said it's exciting to see how the arena has advanced, but he tries not to think about it until completion. 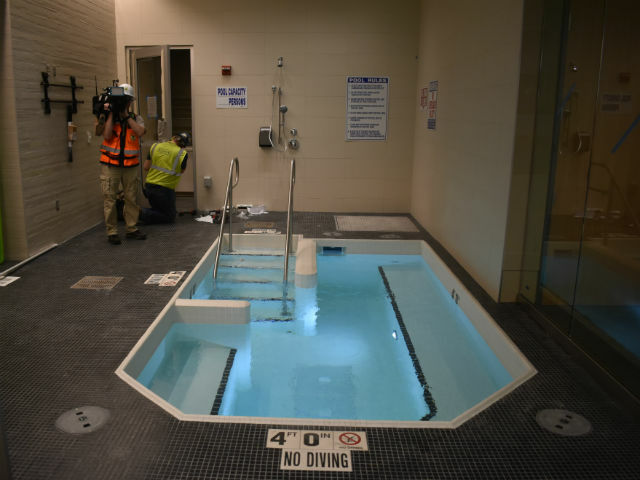 "We feel great," he said, "but we're not there yet." 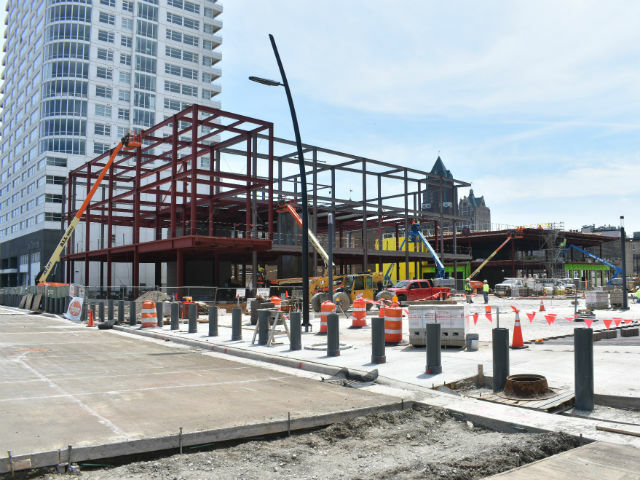 The Wisconsin Entertainment and Sports Center – or whatever we'll be calling it when the Bucks finally announce naming rights – is scheduled to be finished in late-summer, and Feigin said the team is planning "something very special; we're going to blow out the opening in a really fun way for the public."